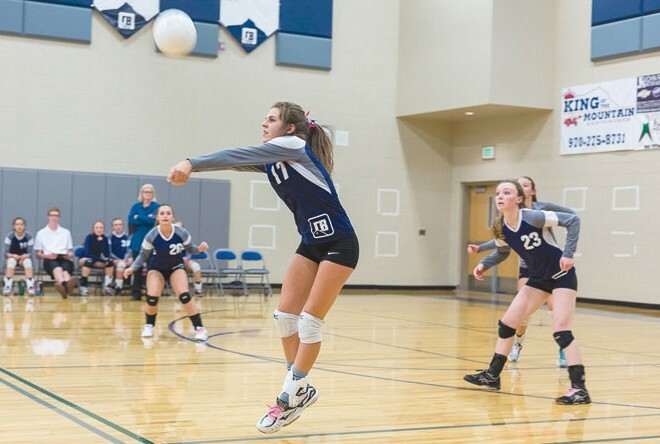 October Break and the flu were just two things that could have upended the Crested Butte Titans volleyball season in the final week of league play, but as another testament to their fortitude, the Titans rose above it all to close out the regular season with two wins and will head into the district tournament on a roll. 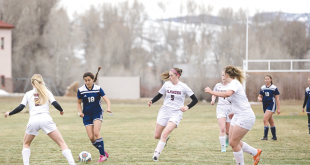 Despite the beleaguered situation with the Titans team, Crested Butte handled the Pioneers in the opening match of the day with relative ease. They dominated the first set to win 25-10 and then kept pouring it on to take the next two sets 25-8 and 25-7 for the match win. Annie Duryea proved near flawless from the service line closing out the second set serving an 11-point run and then carrying her service magic into another run to open the third set, tallying 14 service aces in the match. Overall, the Titans served 88-percent as a team and recorded 26 aces. Corinna Donovan led the team in kills with six, followed by Isabel Young with three. With Titan players still reeling from the flu, they struggled in their opening set of the second match against the Center Vikings. A stretch of missed serves by Crested Butte allowed the Vikings to build a lead midway through the first set but the Titans managed to recover to push the Vikings before Crested Butte fell 25-23. Once again though, the Titans proved resilient. 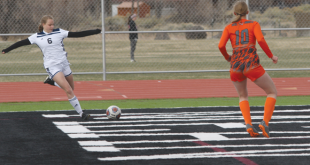 As players continued to fall in and out of their flu, Covey turned to a couple of JV players to step into the varsity fray while asking varsity players to move into new positions. 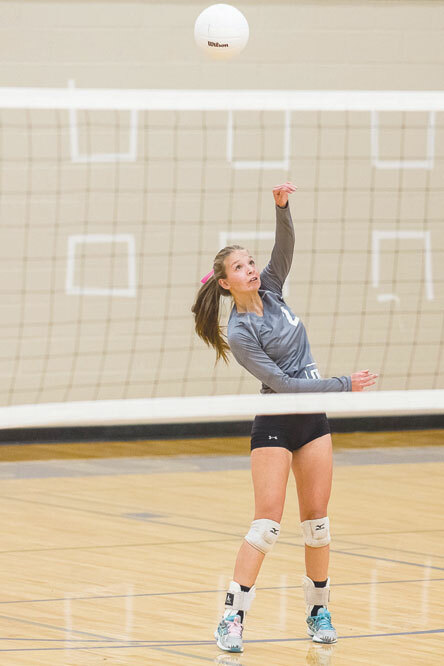 Defensive specialist Raven Bryson covered several positions and also logged some time in the front row, and Catherine Washburn learned the setting position on JV all season and stepped into the set as a right-side hitter and served two aces against the Vikings. The Titans avenged the first set loss to scratch out a hard-fought 27-25 win in the second set and then shifted into overdrive, improving drastically from the service line to win the third and fourth sets 25-19, 25-17 for the match win. Young, one of the top blockers in the Southern Peaks League, had seven big blocks against the Vikings and Madison Lambert, hitting both from the left and the right side over the course of the match, led the Titans with seven kills. Duryea and Young followed with four kills each. Donovan zeroed in on her serve to lead the Titans with five aces against the Vikings. The two wins also sets the Titans up for possible success in the district tournament as they avoid the top two teams in the district in the first round and, if they win the first match, their season continues on Friday, October 30 in Sargent.